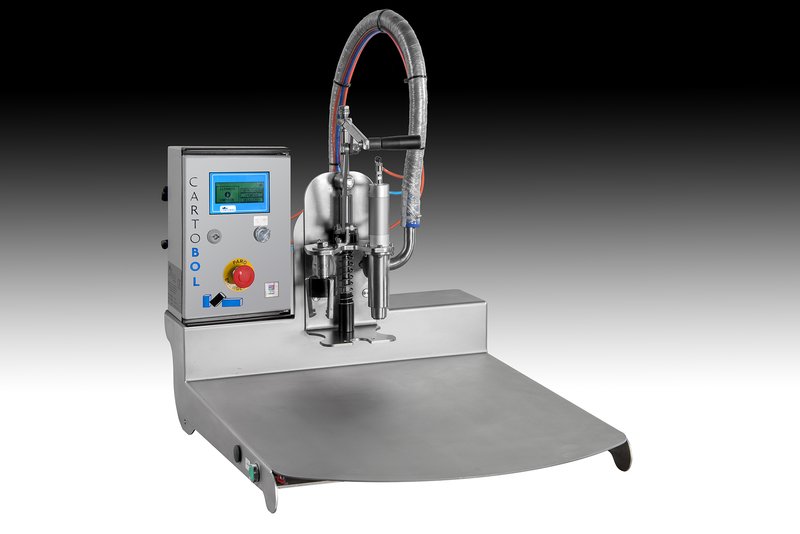 The ECOFILL ECO ARM PTN is a manual filler of easy handling which combines the advantages of the pneumatic system with the advantages of the mechanical system. Structure in stainless steel. Equipped with pump centrifugal, electromagnetic flowmeter and touch screen. The unplugging and capping is performed by means of an auxiliary arm. The operator will position the bag in a subject and then extract the plug through the side arm. Then visit the arm to your left to fit the tubing over the neck of the bag, you press the Start button start and the machine will be automatically filling the bag up to the scheduled capacity. Thanks to the pneumatic piston located above the heater connection fitting the operator should not be holding auxiliary arm during the filling time and can take advantage of the time to form a box at the same time.